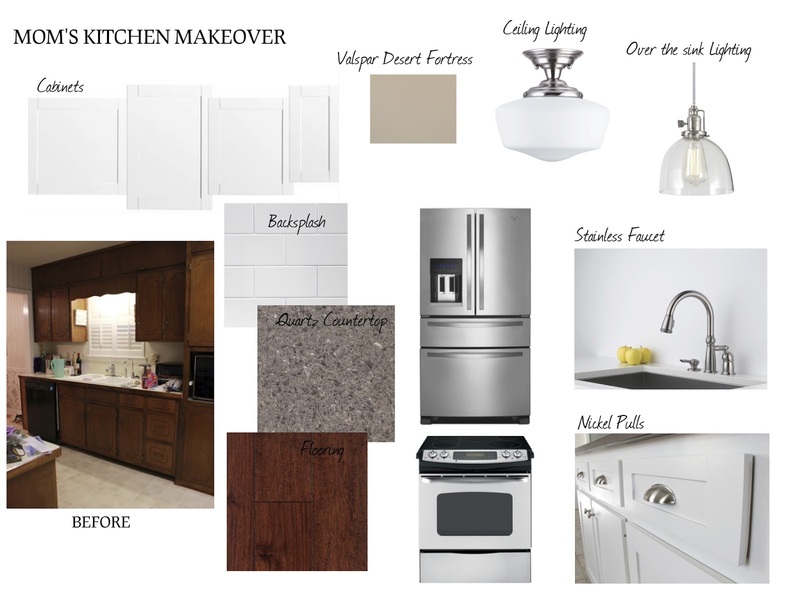 Mom's kitchen renovation starts today! What a long time coming this has been. It's going from 1970's down and brown to a clean, white wonder. I can't wait to show you guys the before and after shots! In the meantime, here is the moodboard of the overall look of the space. Click on the image in enlarge.